You know how us guys are not known for listening very well? This week, I did something even more rare. I listened to myself. Last Friday Genevieve and I were part of the Lung Force Expo, and I gave a talk on how to be your own advocate. Preparing for it got me thinking that there might be even more things I could do for myself, so I took another look. The basic idea is that, no matter how good your doctor is, YOU have a lot more invested in how this turns out than they do. That means it’s on you, or in this case me, to make sure things go the best they possibly can. You can’t do that if you’re passive. First, I started thinking about Xgeva, the bone-strengthening injections that I’ve been getting for about three years. Strengthening porous cancer-riddled bones is good, but how much stronger will they get if I keep getting these injections? The downside of these injections is the risk of necrosis, or killing off the bone. That includes the jaw, so I get asked about dental work and jaw pain every time I go in. Makes me a little nervous. So on this trip to San Diego, I asked my oncologist, is it time to stop? “Good question,” he says, and I can tell it hasn’t occurred to him before now. “The research says one year is enough for the other brand, Zometa. You’ve been on Xgeva for three. You can probably stop now.” That means great news! My risk of turning into a zombie just went way down! The apocalypse will have to wait. My next question was about this clinical trial. Almost a year ago, I had the choice of going off the trial when my trial drug was approved, but I chose to stay on the trial to : 1) help with the research, since there were only 440 people in the world on this trial to begin with, and most are no longer on it; and 2) to stay connected with my San Diego oncologist, whom I think has an excellent grasp of the latest lung cancer research. Here’s that story: http://www.dannwonser.com/blog/decision-time-for-my-treatment/12/3/2015. 2. If I’m not in the clinical trial, can I see you anyway? I got the answers I wanted. Dr. Patel emailed the trial sponsor about my ultimatum even before I left the clinic for the day, and is willing to see me even if I’m kicked off the trial. So the bottom line: I will check on my insurance, to make sure they cover Tagrisso, and he will tell the clinical trial people that I will drop out if they don’t agree to a reduced CT schedule. Either way, it looks like a win for me. It just took being ferocious. And did I forget to mention, in the midst of all this ferocious self-advocacy, that my scan results were again good? :-) Twenty-five months on this trial, and no signs of growth! Woohoo! The more time I get, the more time there is for the NEXT new drug to get developed! The longer I stay alive, the better my chances get that I can outrun this pesky disease. Life is pretty great, isn’t it? You can’t wait for the medical experts to do it for you. They may care, but it is not their life on the line. They may also be very knowledgeable, but that doesn’t mean they always have the best judgement. Being passive can cost you your life, and it almost cost me mine. The first time I had cancer, I was treated successfully and was NED (No Evidence of Disease) with the help of the top lung cancer specialist in the Northwest. When she left town, I was handed off to one of her partners, but I didn’t check his credentials. MY FIRST MISTAKE. He was an expert, but not in what I needed. He specialized in prostate cancer. That explains a LOT about those exams…. When something weird showed up in my lung CT scan, he didn’t know what it was, but didn’t think it was cancer, so he suggested waiting four months until the next scan. MY NEXT BIG MISTAKE: I didn’t get a second opinion. This could have gotten me killed. When it turned out to be cancer and I switched doctors, my cancer remained manageable, but then that oncologist left town. MISTAKE #3: I didn’t check the new doc’s credentials. I must be a slow learner! However, this time I was a little more on the ball. When the cancer started growing again, he had no answers, so I am the one who told him about the clinical trial I am in now. There are other stories. Lysa’s doc wanted to take her off a successful treatment to try something new, until she insisted that nothing change until there was a problem. Another friend lost his life when his oncologist wouldn’t re-test his mutation after his cancer started growing again. By the time she tested, it was too late. He wasn’t well enough to travel to the clinical trial that he qualified for. Another woman asked her doctor for molecular testing of her cancer. He was incensed that a mere patient would think she knew more than he did about lung cancer, and he refused. She fired him. · Check the credentials of your doctor and your clinic. 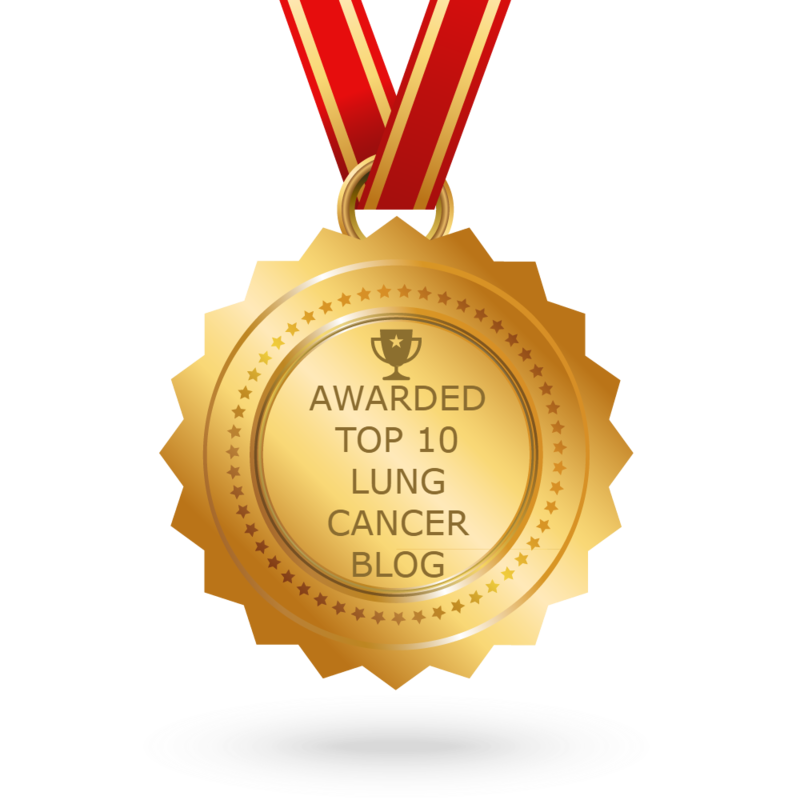 · Make sure you have a lung cancer specialist. A specialist in six different cancers is not a specialist. · If the cancer starts growing again, get molecular testing again. · Do your own research, either by piggybacking on what other survivors have learned, or looking at the data yourself. · Get a second opinion. Your doctor may be brilliant, but that doesn’t mean that their judgment is flawless, or that they would make the same choices that you would. · Make waves if you need to. It’s worth risking hurting your doctor’s feelings if it means that it may save your life. · Treat your doctor like he or she is your consultant. · Get empowered by getting knowledgeable. Check out the Resources tab. Below the survivor blogs is a master list of 21 professional websites, along with a description of what each one offers. 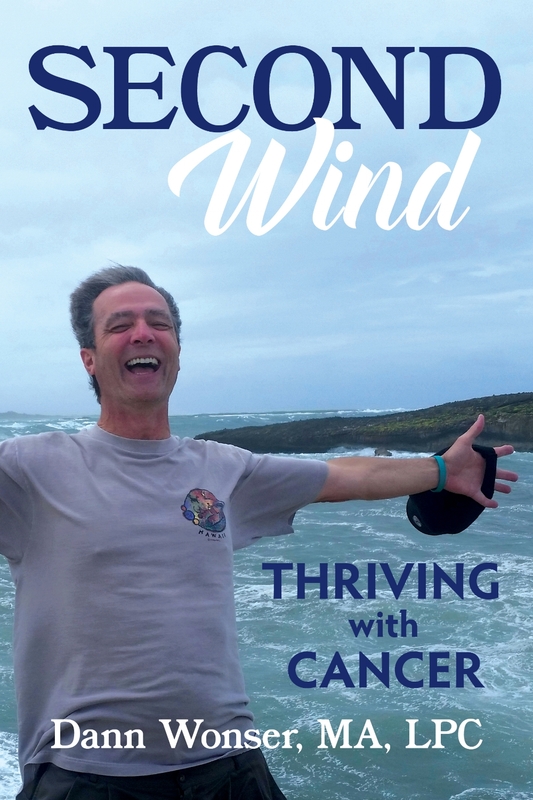 LAST THING: I will be on the Portland Today show on KGW TV this coming Monday, November 14th, from 11:00-12:00 as part of Lung Cancer Awareness Month. Watch it if you get the chance!